ADDISON, Ill. (WLS) -- Police in west suburban Addison are looking for three suspects in an attempted carjacking and shooting which injured one person. 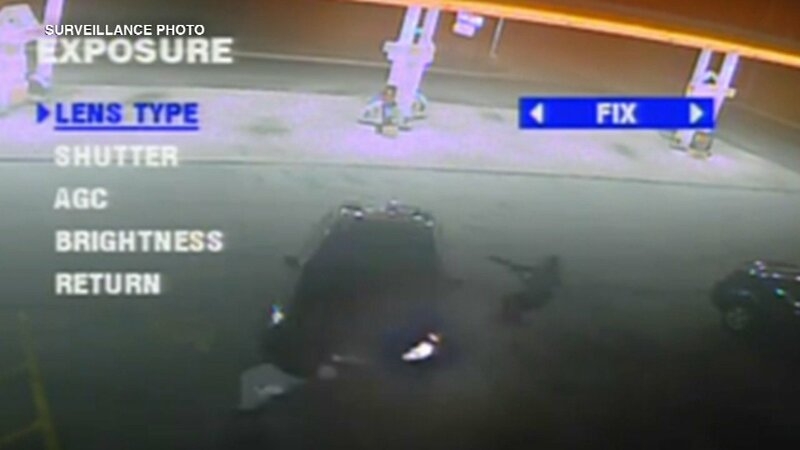 Police said a 19-year-old man parked his car at the Shell Gas Station in the 2400-block of Lake Street at about 1:30 a.m. Saturday and went inside to make a purchase. When he returned to his car he was approached by three masked men, one armed with a gun. Police said the victim tried to put the car in reverse but was shot in the shoulder through the driver's side window. The suspects then fled. Police said the victim initially drove away but returned to the gas station after he realized he had been shot. He was taken to Good Samaritan Hospital for treatment and released. Police a reviewing surveillance video from the gas station. The investigation is ongoing.